Leaders set the tone. I consistently notice that the behaviors and attitudes of key leaders are absorbed by others. What leaders MODEL is more important than what they SAY. As goes the leadership, so goes the congregation. I can generally predict the behavior of an entire congregation based on the response of the leaders as a group. 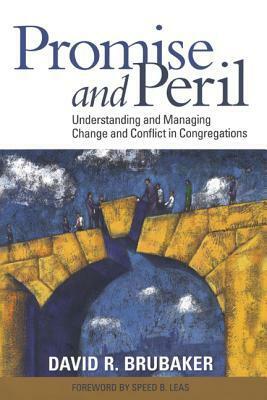 For example, when the leadership of a congregation splits, the congregation normally divides as well. Character is destiny. Over time, the underlying character of any leader becomes increasingly visible. For example, a charismatic leader may initially attract enthusiastic followers. However, when there is a deep underlying character flaw (such as an inability to respect boundaries), the flaw eventually overwhelms the charisma. It is increasingly evident that character trumps every other attribute of leadership—including skills, charisma, vision, motivation, and persistence. When the core is rotten, the shell eventually cracks as well. Yet it is sobering how few congregations openly discuss the critical relationship between leadership and character when making hiring decisions. Humility—a commitment to serve and a disinterest in self-promotion. Curiosity—an appetite for learning and an openness to hear disagreement. Trust—assuming the best about others and refusing to demonize one’s opponents. Integrity—including an integration of word and deed. Emotional and Spiritual Intelligence—a robust self-awareness combined with a deep sense of dependence on God. First, does the candidate demonstrate self-awareness (a critical component of emotional intelligence)? Are they able to describe both their strengths and their weaknesses? Do they give evidence of self-reflection and describe practices that encourage self-examination? Can they identify a time of personal failure and how they learned and grew from that experience? Second, listen to the ways that a candidate describes their previous or current employment and colleagues. Does the candidate speak respectfully about their current or former congregation and the individuals with whom they worked, or do they blame and denigrate others? Is the candidate aware that it takes a team to be successful, or do they obsess only on their personal achievements? Third, ask the candidate how they might enter and engage your congregation. Does the candidate evidence an understanding of and respect for the history and culture of your congregation, or do they talk only about how they will transform your congregation’s future? Does their response include the importance of listening and relationship building, or does it instead focus only on the vision the candidate will bring? With each of these questions, a search committee begins to uncover that most critical but least visible aspect of leadership—a candidate’s character. Since graduating from college 38 years ago, I have been privileged to work with two leaders who evidenced the humility, curiosity, trust and integrity Bill Wilson’s students describe—as well as high levels of emotional and spiritual intelligence. (One was the lead pastor of a congregation and the other the president of a faith-based university.) I have also witnessed the devastation that leaders leave in their wake when they are arrogant, dismissive, paranoid, or dishonest. These destructive leaders consistently bequeath a polarized and demoralized system to their successors. The institutions that are most vulnerable to hiring arrogant, dismissive, paranoid and dishonest leaders are the ones that are the most desperate. Rather than following a careful selection process with clear hiring criteria and multiple candidates, they lurch in desperation to snag a charismatic but flawed candidate. The failure to exercise due diligence in the hiring process leads to years of regret and to a diminished and demoralized institution. Every congregation should do everything possible to avoid hiring such a leader. You can pay a little now (in the effort to discern character) or you can pay a lot later (in the devastation unprincipled leaders always leave in their wake). Character is destiny—for the individual and also for the congregation.